Most affordable work wear garments. 25 year’s experience in work wear. Superior customer service. Reputation for high quality products. TOP QUALITY GUARANTEED. Backed by a team of highly skilled draughtsman and cutters, we can assure you of a garment to customer specifications, a garment that has a more comfortable, fuller, more durable and relaxed fit... We @ JANROY CLOTHING believe in giving our customers satisfaction in manufacturing a garment to each customers unique requirements. Since we are the manufacturers, we can offer you garments at most competitive rates. 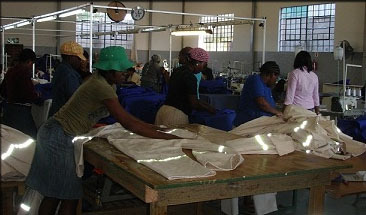 together has been a team for more than 25 years in the clothing manufacturing industry.